Never get locked out of your vehicle again! 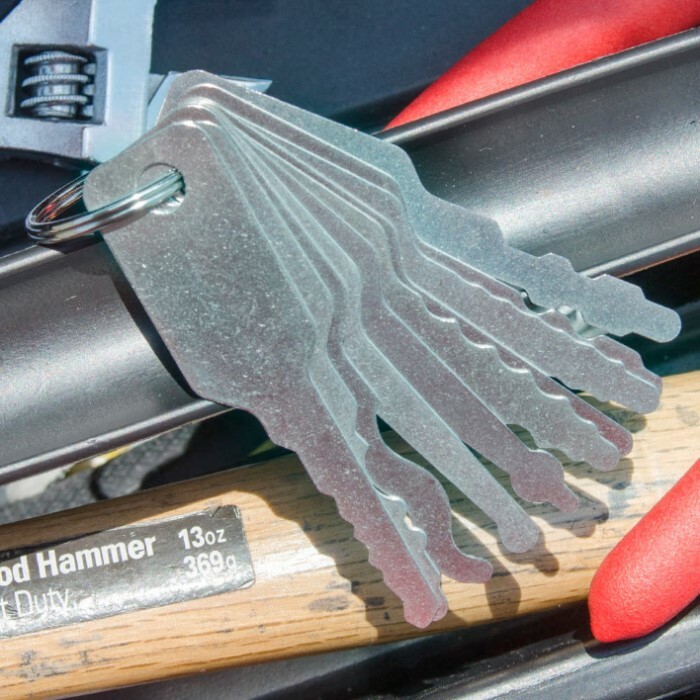 Used by many locksmiths, the master key auto jigglers open many foreign and domestic cars and trucks. Constructed of tempered 301 stainless steel. First time I needed it worked like a charm. Jiggler with hooked end opened Lincoln Town Car. I got into my 2007 dodge in about 10 minutes the first time and about 15-30 seconds every other time. Just took me a little bit of practice and i got it. And for the hell of it i wanted to see if one of the jigglers started my dodge what do you know it did just that. Looking forward to purchasing other similar products. I have a HUGE family and this will come in handy. Thanks for the awesome product. I would recommend making them thicker but if you're gentle with them and not in a rush you should be just fine. They are pretty nice, my only concerb is that they should be thicker... Maybe twice as thick as they are now. But, I might just trace them on sheet metal and cut them out in case these break for not being thick enough... but over all, I like them and it was a good investment. Didn't work on my 2005 Thunderbird. Thought I'd give it a try since my car was in my drive. I could wait for the order rather than call a locksmith. All these did was chip the paint around the lock. I also tried them on my 2012 Tundra, didn't work there either. I'm not saying they're junk, but they did not do anything for either of my vehicles. 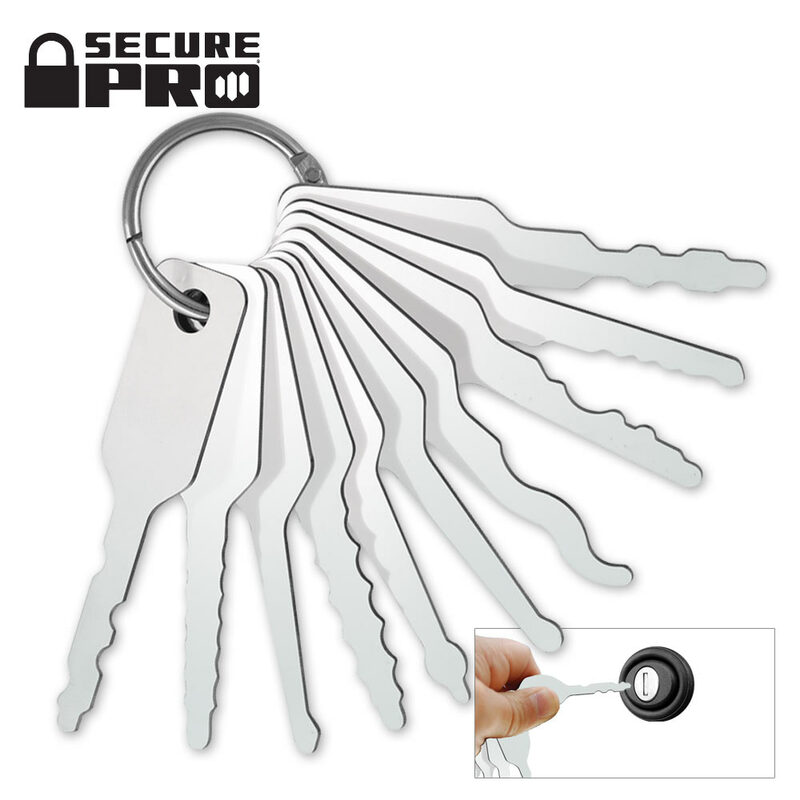 These are great for getting into you locked car with the keys in the ignition! Although I feel there are those who would use these to break into cars! Can easily open a 2008 grand caravan, and 2002 kia spectra. i keep the 2 most common on me at all times.